Headlines of late have been littered with doom and gloom for brick and mortar retailing. Storied brands have been closing stores across the country, and pictures of malls that look like ghost towns are everywhere. Don’t be too quick to write off shopping malls though. 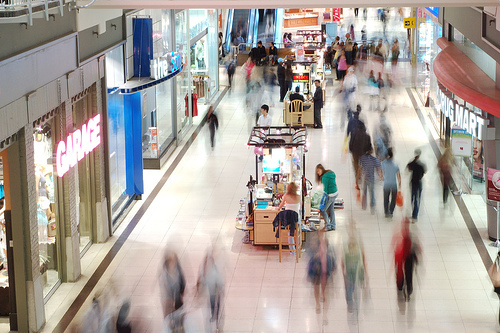 Thanks to some amazing technology advances, retailing 2.0 is coming to a mall near you and if aspects of it seem quite familiar, it’s because the lines between brick and mortar and online shopping are about to blur. Think about the enormous gulf today between what online retailers know, and what brick and mortar retailers and malls know. Websites are so sophisticated today that site owners know, for example: what other sites you’ve been to before you come to their site and after, the precise hours and days you prefer to shop, how you’ve responded to advertisements, the brands you like, the brands your gift recipients like, what things you tend to return and why, what kinds of purchases you consider but don’t consummate, when you transact your holiday shopping, how much money you spend, and through machine learning they are getting smarter about suggesting relevant products to purchase even when you’re not necessarily shopping for them. Brick and mortar retailing? Not so much. In fact, unless you shop at the same store countless times, have a retailer’s charge card, or are a member of their frequent buyer’s club, critical insights are often limited to how observant retail sales clerks are. For malls to get a sense of who goes where, when, and why, they’ve relied for years, for example, on video analysis, and people literally counting shoppers. In fact, one of the primary methods malls utilized to gain insight into consumer behavior was to take surveys. But as we learned in November, surveys have their limitations. New technology that’s able to autonomously and passively locate and detect every single cellular, WiFi and Bluetooth signal, when combined with IoT functionality, will revolutionize how malls and retailers analyze and predict consumer behavior, and how customers navigate shopping experiences. Soon malls will be able to know precisely how many people came and left by each entrance, where the choke points are, how many shoppers arrived by car, taxi, and other means, where staff should be deployed and when, vertical circulation patterns, and the hot and cold zones around the mall. Malls will be able to know, for example, that more often than not holiday shoppers tend to make a bee-line for the food court or trophy store immediately upon arrival, and during the cold weather months more shoppers tend to arrive through a particular entrance. This data will revolutionize leasing and mall design. Today, mall retailers are usually staffed based on static HR rosters. Utilities are controlled based on standardized policies. Garbage collections and housekeeping chores are pre-scheduled. The cost of doing business is largely fixed, and unresponsive to real world variables. But soon these retailers will have rich historical data on how many people visit the store, when, and what kind of purchases are made, therefore they will be able to flexibly optimize staffing. Based on real time weather reports and customer traffic patterns, temperature and other utilities will be greatly optimized. Sensors on garbage cans will alert when they are ready to be emptied, and facility usage will be monitored to manage housekeeping duties. All of these informed decisions will drive huge savings in operational costs. And, this data won’t just facilitate cost savings. Dressing rooms are the offline equivalent to online carts, yet today retailers don’t really have any means to interface with shoppers while they are making buying decisions. Soon there will be smart dressing rooms that know what you’re trying on, and facilitate complimentary clothing suggestions, and better coordinate shoppers with retailing staff to try on different sizes and styles. Today, at larger stores it’s a struggle sometimes for customers to find the part of the store they are looking for, and when they arrive, their size may be sold out. Soon, phones will guide shoppers through the store to the precise location they require, and seamlessly allow you to purchase online if your size isn’t available. For those consumers who opt-in, they will also soon be able to benefit from contextually relevant suggestions while they are shopping based upon their prior purchasing decisions (i.e., “Hi. You’re about to walk past an aisle where you previously purchased a Nike golf shirt. That shirt now comes in two new styles, and we have your size in both.”). It suffices to say that while the changes augmenting brick and mortar retail are very real, many of the changes are going to be a lot more positive than today’s dire headlines.